Investigation: who has a Steam Account in North Korea? It’s a known fact that the DPRK run one of the most repressive regimes in the world, keeping tight control and applying filters to what their citizens can and cannot access. This means entertainment from the West is strictly forbidden, including no video games but recently (in the past 2 years) an interesting discovery has been made and could possibly cripple Kim Jong-Un’s reputation. Does this mean rocket man practices his gun skills in CS:GO? Maybe he tests his nukes in Garry’s Mod? Curious, I decided to delve deeper into the mystery and give a conclusion on who it’s most likely to be. So let’s start with the obvious; the user is in Pyongyang, the capital of North Korea giving us three possible suspects. 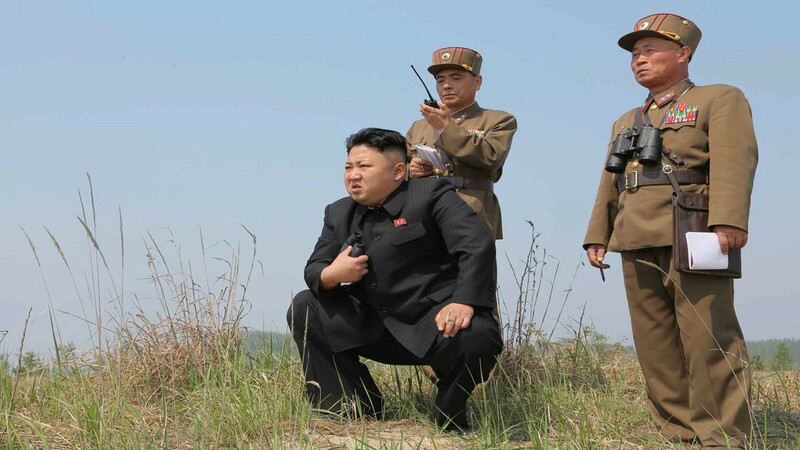 The first is ruthless dictator Kim Jong-Un himself using it for either personal matters or perhaps ‘research’. The second is one of the three North Korean officials currently residing in the country. The third (and most likely) a research or military facility using games as a way to experiment. When I began the investigation I decided to look into the history of the supreme leader. He attended a private school in Muri bei Bern, Switzerland under the name Pak-chol until 1998. He was described as quiet and a basketball fan which explains his strange bromance with NBA star Dennis Rodman. He moved to Bern with his dad (Kim Jong-Il) felt his son wasn’t doing well enough to make the cost of private education acceptable. Kim was reported to be good at maths but terrible at everything else. He befriended the son of a Portuguese diplomat who revealed how his flat was “surrounded by the best gadgets that the rest of us kids couldn’t afford” including the original Sony Playstation. Now North Korea is infamous for despising western culture including video games but the Playstation brand is Japanese and the majority of Japan-only PS1 titles were JRPG’s and its no secret Steam has a plethora available. So now we know Kimmy was a gamer who’s to say he still isn’t? As I said it’s no secret that he’s not a fan of western culture but looking at the recent explosion of Japenese anime games Steam might be a useful resource for the leader to get his gaming fix. For example, how many Huniepop clones have we received in the last few months? Or how about the Final Fantasy ports? At the end of the day, world leaders are still human so it’s not a surreal idea that rocket man could be enjoying some good games in his spare time and he may not be doing it alone. After doing even more digging and hours of research I finally have what I believe solves this problem. Remember the North Korean officials from earlier? Well, they’re shaping out to be the most likely users since it’s been reported by researchers at Recorded Future that the richest in the country have a carbon footprint similar to those in the west. iTunes, Amazon, Facebook, and World of Tanks? Yes, World of Tanks; the popular MMO where you engage in tank warfare using WW2 vehicles is apparently a major success amongst the highest members of North Korean society. These are of course a select few but may answer our burning question although there are two problems in the way. The first being the map only has one dot, however, this Reddit post shows multiple dots meaning the number of Steam accounts could be more than one. Just like every other country, North Korea has a 1%. These are the richest of the rich and thus many of these are officials. It’s been reported that alongside World of Tanks, Left 4 Dead 2 is popular and in order to play it what do you need? So now we know that Kim and his pals love a little bit of zombie killing and tank driving on the side and possibly more. Finding his Steam account seems like an impossible task but rest assured there are communities out there who actively search for this sacred profile. The verdict? Kim Jong-Un and the 1% are the owners of these Steam accounts and perhaps as we watch the North Korea debacle unfold someone, somewhere will come out with the definite answer. In the meantime, we can only speculate and hope that the supreme dictator could be in your match. What do you think? 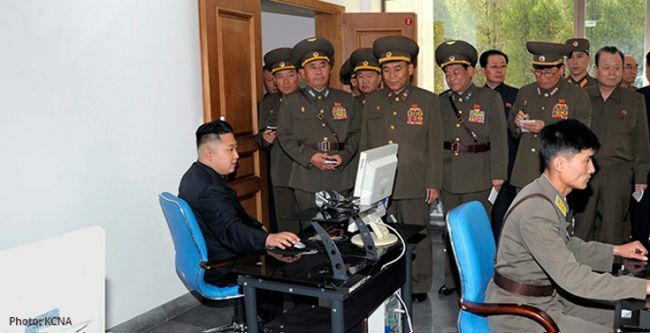 Would you go to a North Korean LAN party? Let us know in the comments below. Honestly man, I would probably go to that LAN match. Maybe the more he plays, the less he'll care about nuking people haha.